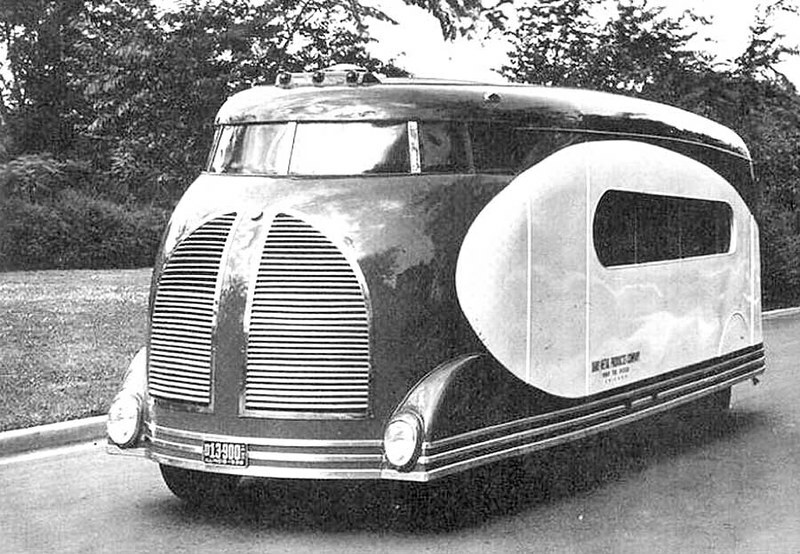 Found these two pics on the internet while I was looking for info about the Opel Streamliner than Roden make a model of. 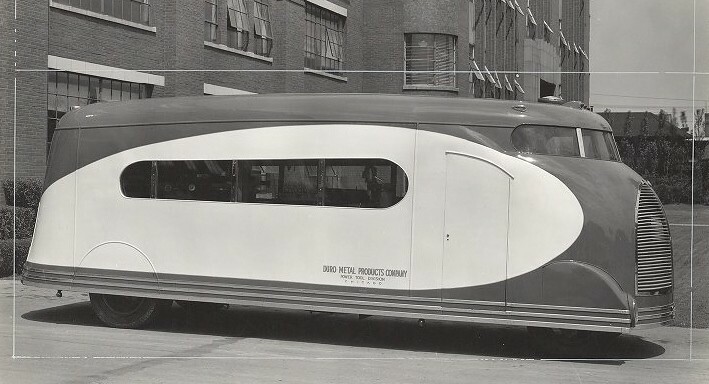 This thing was apparently made in 1936 as a promotional vehicle by the Duro Metal Products company of Chicago, and was based on a Ford chassis. Interesting beasties, thanks for sharing. Very Dieselpunk. For the period maybe it wasn't as strange as it seems to modern eyes. 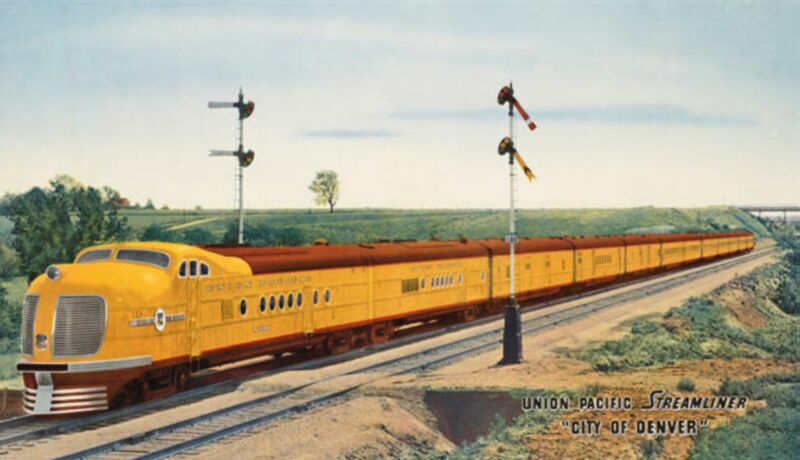 At the time the US railroads were heavily investing in dieselisation for their passenger trains, and the Union Pacific 'City' trains looked like this. 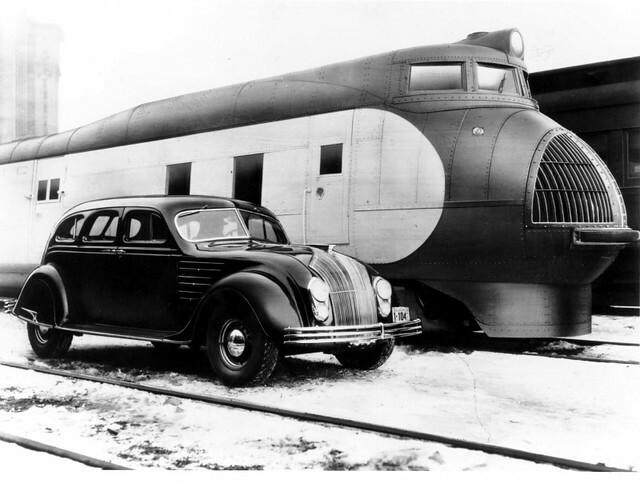 REMARKABLY similar styling I think, and interestingly these locos were called 'automobile styled'. The massive grille didn't last all that long though, as the next generation locos had similar rounded noses but minus the grille. Culled from an interesting site (to me anyway ) here. Puts me in mind of Randy Grubb's Decoliner. 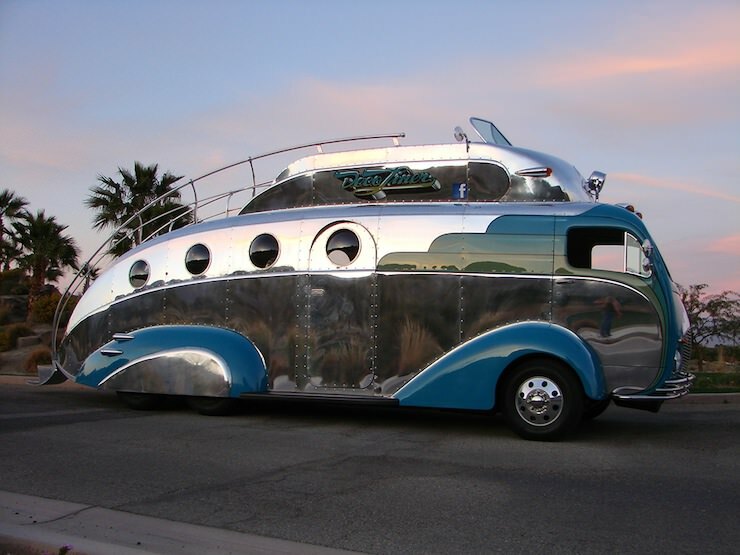 An amazing RV which has particular appeal for me because it has a flying bridge meaning it can be driven from the roof. 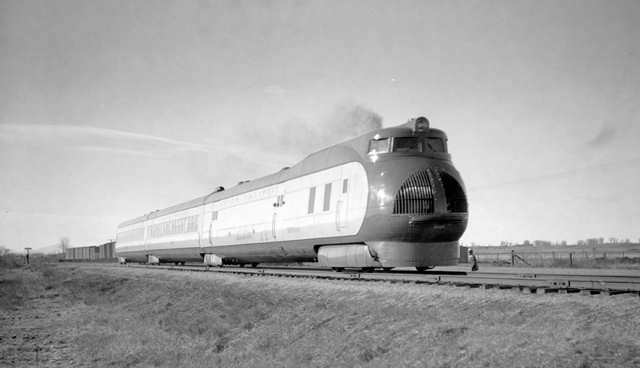 The websites I was reading about the Duro van indicate that it was directly inspired by the Union Pacific streamliners. Apparently Duro had something to do with the trains' construction. Brilliant site Kit, thanks for the link. CHECK THIS SITE AS WELL. Ah yes, it was the M-1000 that I was trying to remember, but the 'City of Denver' was close enough from the styling point of view. Yep, the City class exterior design was pretty much a cleaned up M1000.